Thank you for visiting the Hobey Baker Memorial Award Store. We are always adding new items to our inventory so feel free to check back often to find the newest editions. 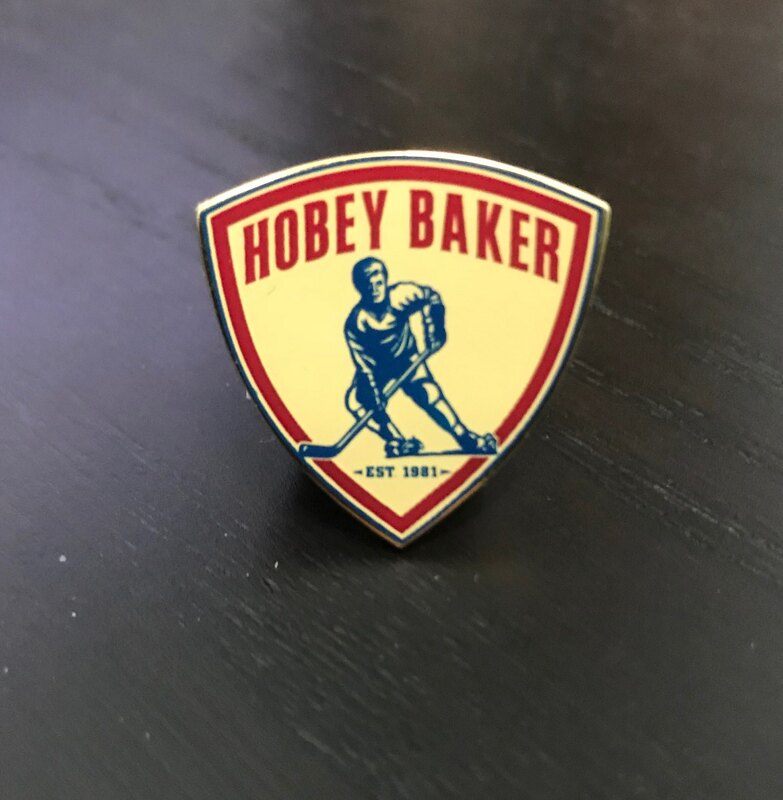 Our elegant pin tastefully showcases your Hobey Baker Support. This time-honored symbol of Strength of character, on and off the ice is a distinguished expression of your love for college hockey. This consists of a genuine size and weight hockey puck for display. Great memento for your collection! 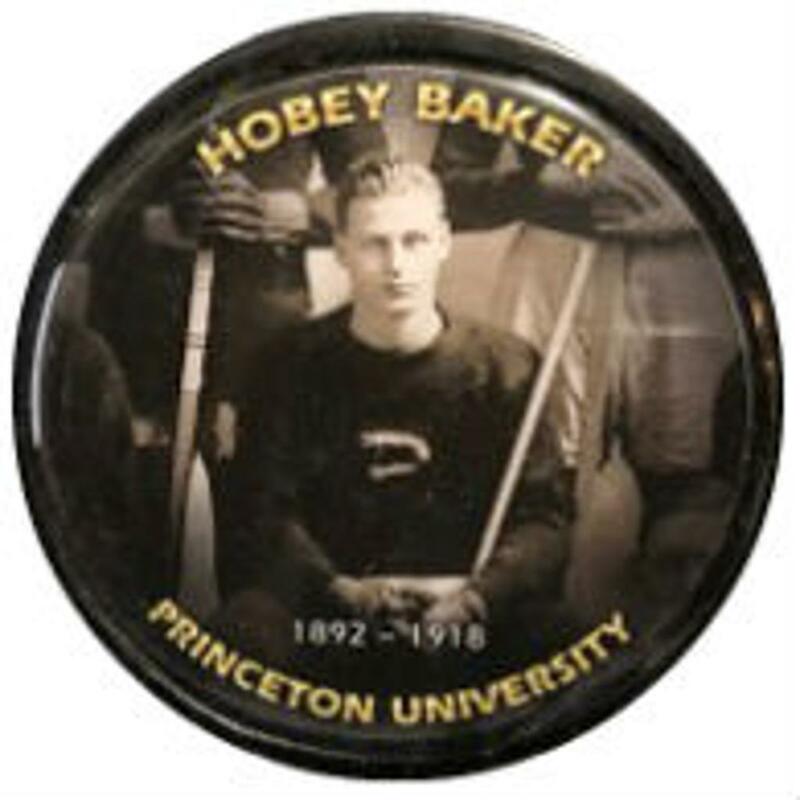 This Puck features Hobart Amory Hare "Hobey" Baker (January 15, 1892 – December 21, 1918) was an American amateur athlete of the early twentieth century. Considered the first American star in ice hockey by the Hockey Hall of Fame, Born into a prominent family from Philadelphia, he enrolled at Princeton University in 1910. Baker excelled on the university's hockey and football teams, and became a noted amateur hockey player for the St. Nicholas Hockey Club in New York City. He was a member of two national championship teams, for hockey in 1912 and 1914. Baker was widely regarded by his contemporaries as one of the best athletes of his time and is considered one of the best early American hockey players. This Puck features John Michael Gaudreau (born August 13, 1993) an American professional ice hockey left winger currently playing for the Calgary Flames in the National Hockey League (NHL). He has previously played for the NCAA Division I's Boston College Eagles from 2011 to 2014. 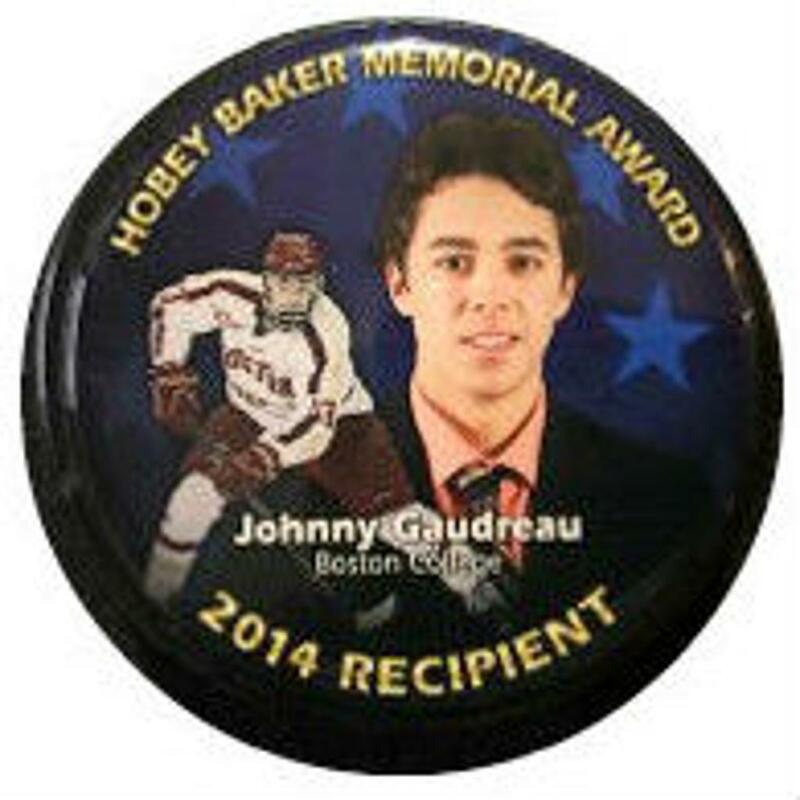 Gaudreau was the 2014 winner of the Hobey Baker Award as the best player in the NCAA. 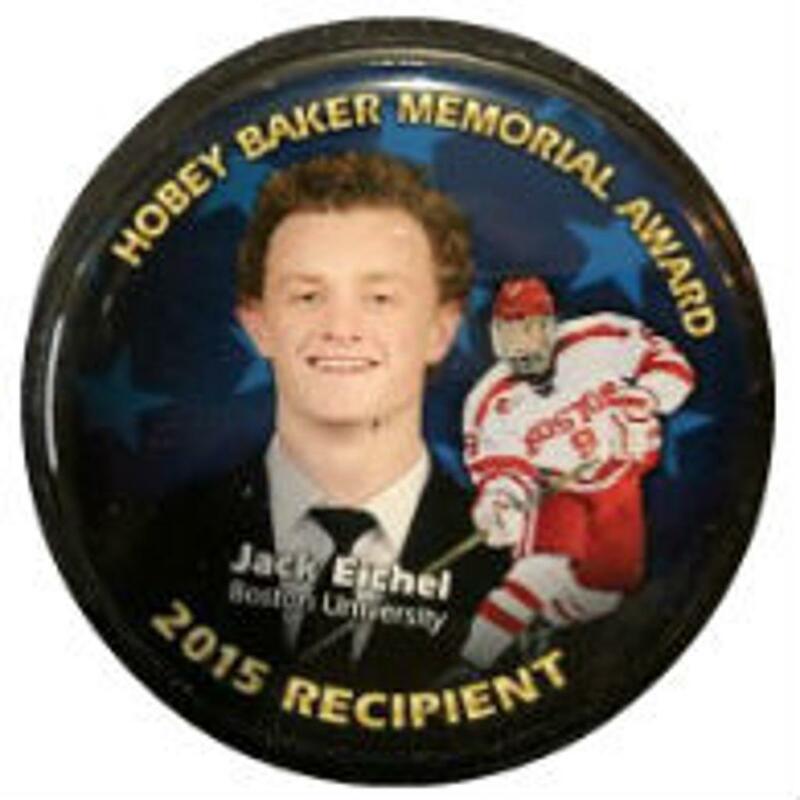 This Puck features John "Jack" Robert Eichel (born October 28, 1996) an American professional ice hockey center. He is an alternate captain for the Buffalo Sabres of the National Hockey League. Eichel was selected second overall in the 2015 NHL Entry Draft by the Buffalo Sabres. Eichel was the recipient of the 2015 Hobey Baker Award, given to the top National Collegiate Athletic Association men's ice hockey player. He was the second freshman to win the award and the first since Paul Kariya in 1993. This Puck features Jimmy Vesey (born May 26, 1993) an American ice hockey left winger for the New York Rangers. He was selected by the Nashville Predators in the third round, 66th overall, of the 2012 NHL Entry Draft. 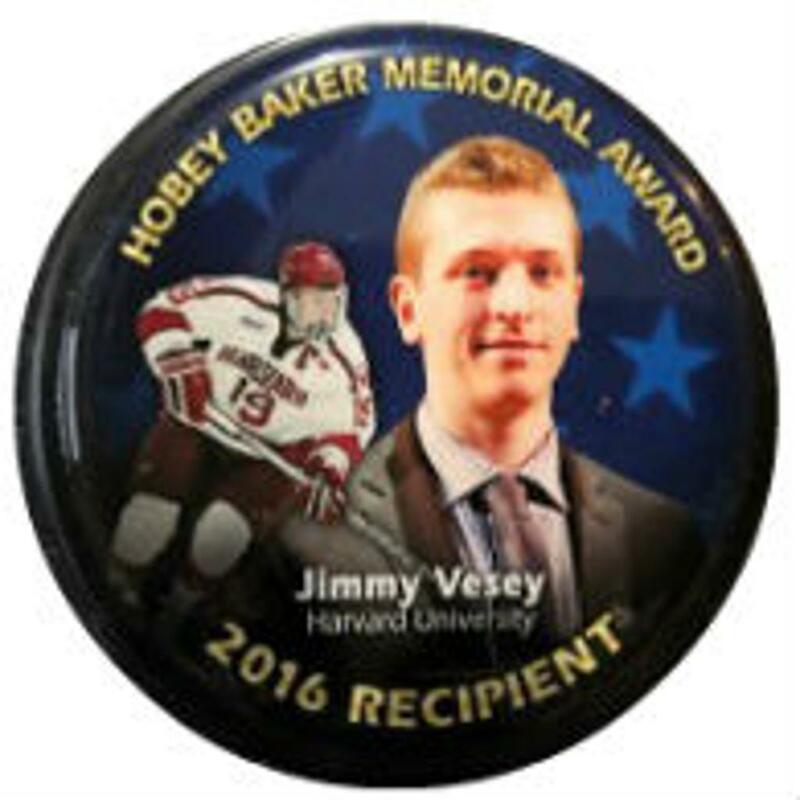 Vesey won the Hobey Baker Award in 2016. On June 20, 2016 his rights were traded to the Buffalo Sabres in exchange for a third-round draft pick in the 2016 NHL Entry Draft. Vesey played four years with Harvard University in the NCAA. The North Reading, Massachusetts native finished his collegiate career with 144 points (80+64) in 128 games and was named ECAC Player of the Year after the 2014–15 season. This Puck features Will Butcher (born January 6, 1995) is an American professional ice hockey defenceman for the New Jersey Devils of the National Hockey League (NHL). Butcher was selected in the fifth round, 123rd overall, by the Colorado Avalanche in the 2013 NHL Entry Draft. Butcher played college hockey at Denver from 2013–2017. 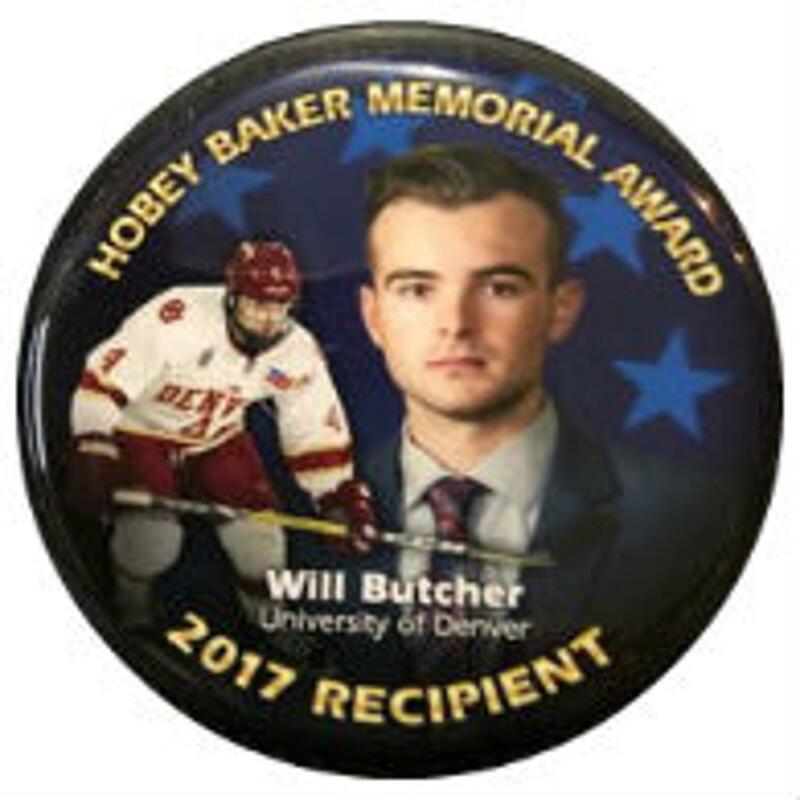 In 2016–17, Butcher won the Hobey Baker Award, marking him as the best player in men's college hockey; he was also named a NCHC First-Team All-Star, NCHC Player of the Year, and NCHC Offensive Defenseman of the Year. He helped Denver win the 2017 NCAA Championship. This Puck features Adam Gaudette (born October 3, 1996) who is an American professional ice hockey player. He currently plays center for the Vancouver Canucks of the National Hockey League (NHL). He previously played with the Northeastern University Huskies of the NCAA, where he won the Hobey Baker Award, Hockey East Player of the Year, and was named to the AHCA East First-Team All-American. 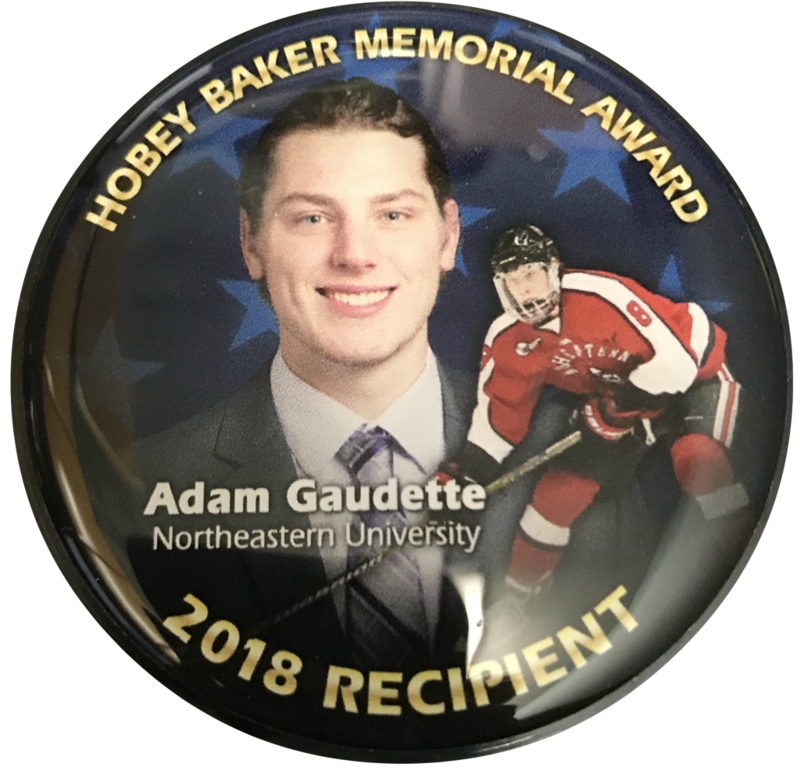 Gaudette becomes the first Hobey Baker Award recipient from Northeastern University. He had surpassed 50 points in two straight years and in 116 career games, and had totaled 142 points in his college career.